Next year, you are gong to hear a lot about 5G. No, seriously, you will be bombarded by both news and marketing surrounding the upcoming wireless internet standard. Quite frankly, I expect to be physically nauseated by all the 5G talk. With that said, 5G is worthy of all the hype. It will make current LTE internet seem downright slow. Make no mistake, 5G is not just a mobile data thing, either -- many homes will get internet with 5G, removing the stranglehold current cable-dependent ISPs have on the market. Of course, before we can enjoy 5G, we need hardware, such as towers and modems. Rumors suggest Apple will use Intel modems for the iPhone in 2020, and today, we get some strong evidence of this. You see, Intel is promising to release its upcoming XMM 8160 5G modem earlier than expected -- in the second half of 2019. Consumer devices that contain the modem won't be available until 2020, however. 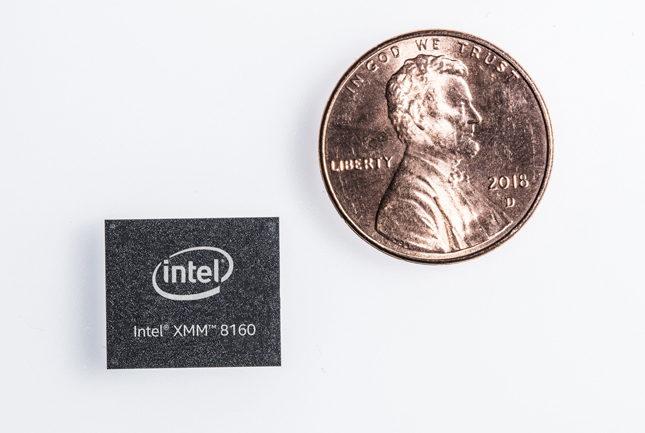 "With single-chip multimode baseband capability, the Intel XMM 8160 5G modem will enable device manufacturers to design smaller and more power-efficient devices. This can be achieved without the added complexity, power management and form factor adjustments of two separate modems for 5G and legacy connectivity, as will be introduced in early competing 5G modems. By advancing directly to a multimode solution, Intel will offer very clear improvements in power, size and scalability. Intel’s integrated multimode solution supports simultaneous connectivity (EN-DC) for LTE and 5G – critical as 5G mobile network devices must be backward compatible to 4G if 5G is not available at any moment or at any location," says Intel. The Pentium-maker further says, "The modem offers advanced technology needed to support new millimeter wave (mmWave) spectrum as well as sub 6 GHz 5G NR support (including FDD and TDD bands from 600 MHz to 6 GHz) and download speeds up to 6 Gbps. The industry move to mmWave and mid-band spectrum addresses the enormous need for more bandwidth for users, devices and connected machines. Finally, the modem is designed to scale. With worldwide carrier support, broad platform certification and broad OEM support, the Intel XMM 8160 modem delivers 5G capabilities that operators and device makers can rely on for their global deployments." Dr. Cormac Conroy, Intel corporate vice president and general manager of the Communication and Devices Group offers the following statement. 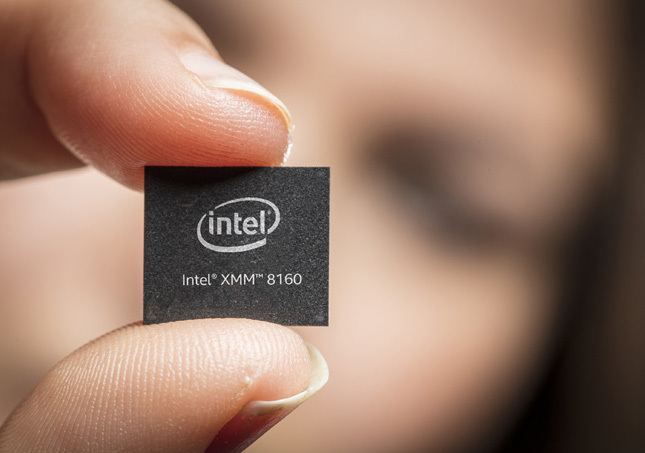 Intel’s new XMM 8160 5G modem provides the ideal solution to support large volumes for scaling across multiple device categories to coincide with broad 5G deployments. We are seeing great demand for the advanced feature set of the XMM 8160, such that we made a strategic decision to pull in the launch of this modem by half a year to deliver a leading 5G solution. Are you excited for 5G internet, or are you satisfied with your current mobile and home internet performance? Please tell me in the comments below.